57.8% of youth experiencing homelessness reported some type of involvement with child protection services over their lifetime. 63.1% of youth who are homeless report experiencing childhood trauma, abuse, and/or neglect - a key cause of involvement with child welfare. 73.3% of youth who became homeless before the age of 16 reported involvement with child protection services. 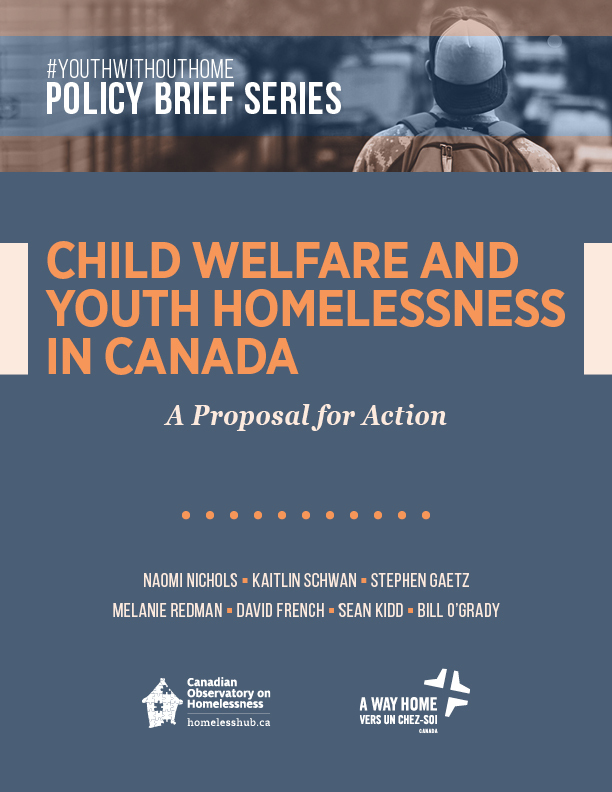 Compared to the general public (Statistics Canada, 2011), youth experiencing homelessness are 193 times more likely to have been involved with the child welfare system than the general public. 31.5% of youth who are homeless report their first contact with the welfare system at the age of 6, with 53% reporting continued involvement beyond the age of 16. Indigenous youth make up 7% of the total population of young Canadians, yet make up half of individuals involved in child protection services (Statistics Canada, 2011). youth are more likely to have had child welfare involvement than cisgender and straight homeless youth.